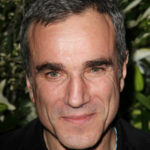 Daniel Day-Lewis is an English actor who holds both British and Irish citizenship. Born and raised in London, he excelled on stage at the National Youth Theatre, before being accepted at the Bristol Old Vic Theatre School, which he attended for three years. Despite his traditional training at the Bristol Old Vic, he is considered a method actor, known for his constant devotion to and research of his roles. He would often remain completely in character for the duration of the shooting schedules of his films, even to the point of adversely affecting his health. He is one of the most selective actors in the film industry, having starred in only six films since 1998, with as many as five years between roles. Protective of his private life, he rarely gives interviews and makes very few public appearances. "One of the great privileges of having grown up in a middle-class literary English household, but having gone to school in the front lines in Southeast London, was that I became half-street-urchin and half-good-boy at home. I knew that dichotomy was possible." "At a certain age it just became apparent to me that this was probably the work that I would have to do." "I think I have a strange relationship with time. I’m not really aware of that time passing. I don’t feel that I’m wasteful with time. But I’m not aware of it passing." "For as long as I can remember, the thing that gave me a sense of wonderment and renewal… has always been the work of other actors." "I have a strange relationship with time. I’m not aware of it passing." "Where I come from, it was a heresy to say you wanted to be in movies, leave alone American movies." "I’d always felt very strongly in the power of vocation." "I would wish for any one of my colleagues to have the experience of working with Martin Scorsese once in their lifetime." "I see a lot of movies. I love films as a spectator, and that’s never obscured by the part of me that does the work myself. I just love going to the movies." "It is awesome to feel you are carrying on the family name."